First Floor 911 sq. 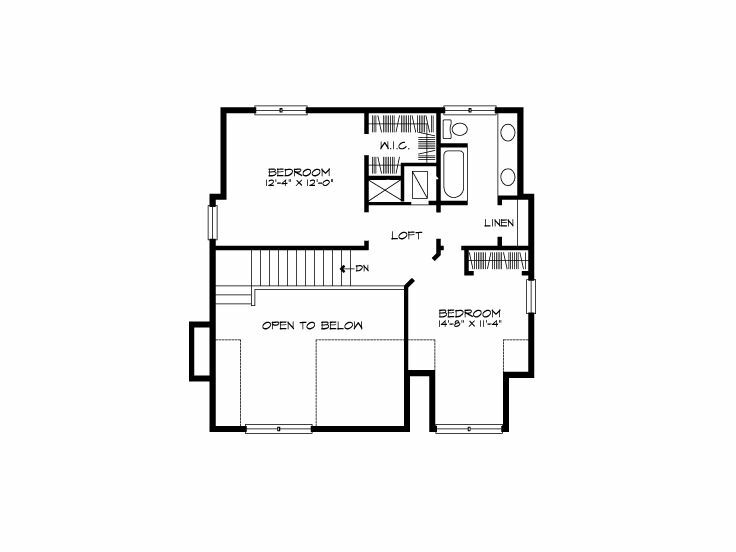 ft.
Second Floor 568 sq. ft.
Width 46 ft. 0 in. Depth 38 ft. 0 in. 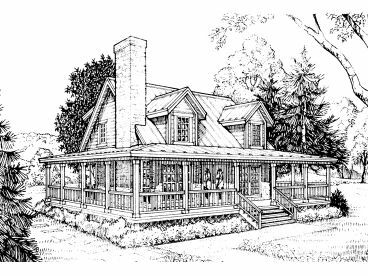 A wrap-around porch, perfect for relaxing outdoors is the highlight of this 1 ½-story, vacation house plan. 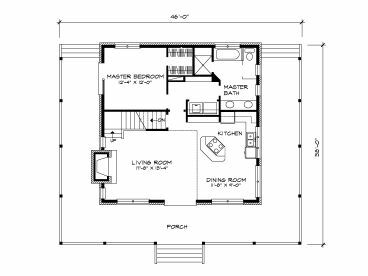 The living room, dining room, and kitchen featuring a cook-top island, combine for a spacious and flexible living space. A deluxe bath with window tub accents the master bedroom. 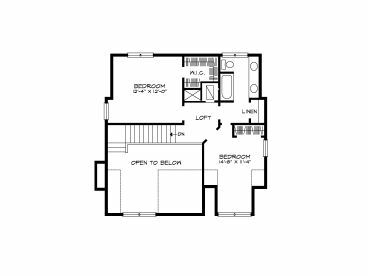 The laundry area is tucked in a closet in the master bath for convenience. 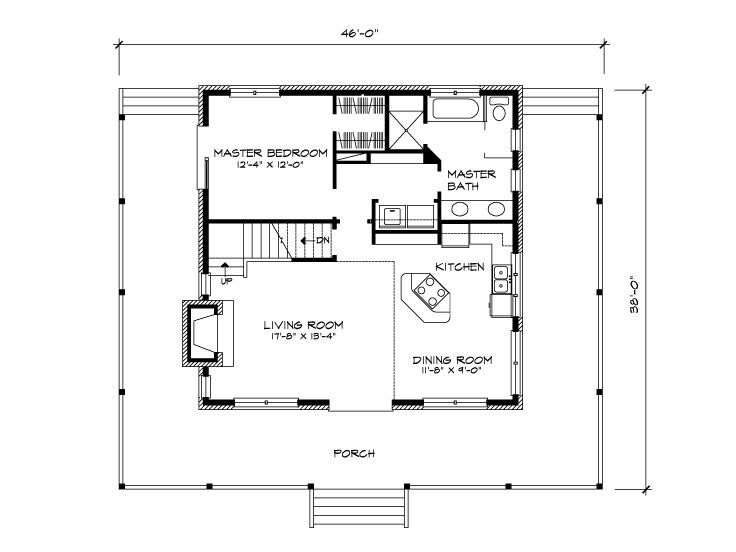 Two upstairs bedrooms overlook the living room. 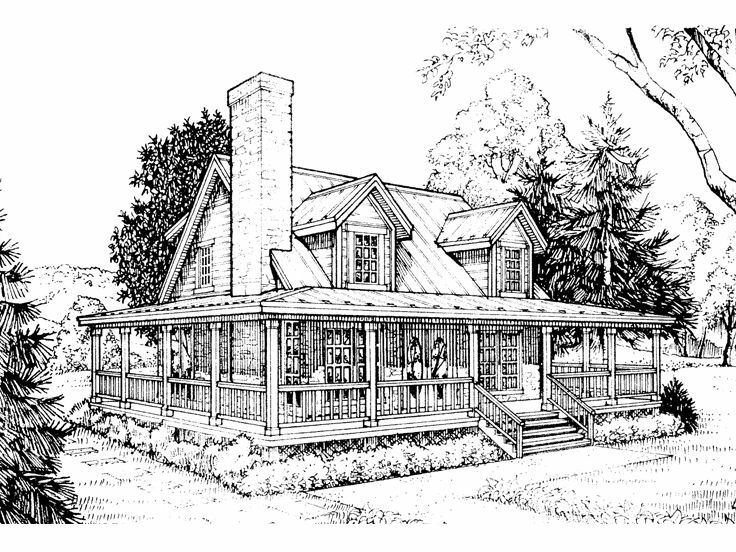 This country home plan offers functionality in a small space.